Welcome to Wednesday and our next Watercooler Wednesday Challenge. 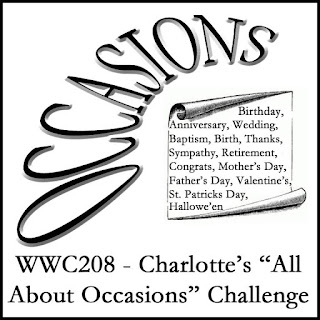 This week Charlotte is hosting our "All About Occasions" challenge. For my card I chose birthday as my occasion as one of my sisters birthday is in a few days. 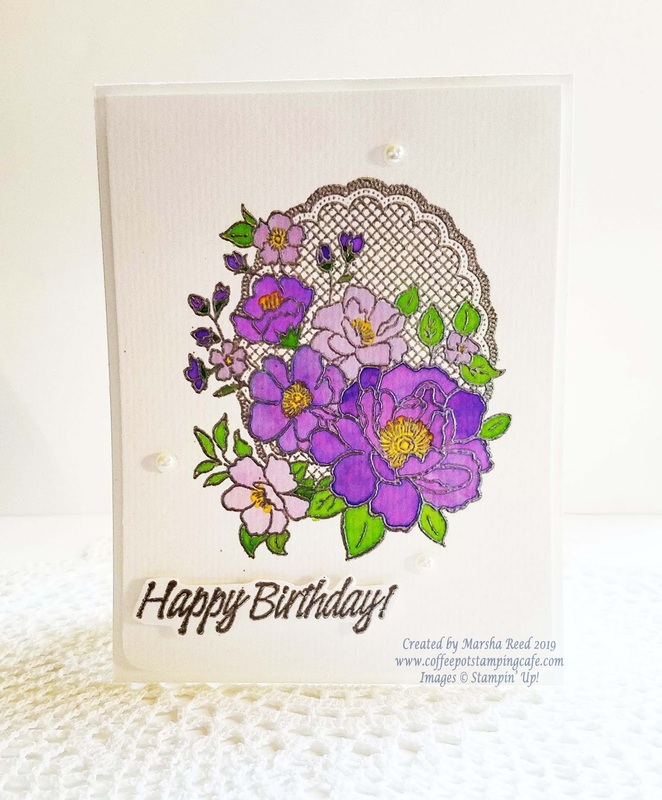 Purple is her favorite color and I always try to include that color in any birthday card I make for her. For all of our challenge details and to share your project, visit the Watercooler Wednesday Challenge by clicking the image below. We’d love to have you join us. You have until Monday, February 18th at 4:00 p.m. Pacific Standard Time to link up your project. Lovely colouring of the flowers Marsha. Your sister will love this card. Thanks, Tristan! 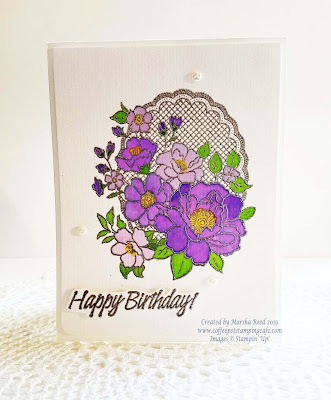 I love this stamp set and the variety of ways you can color it.